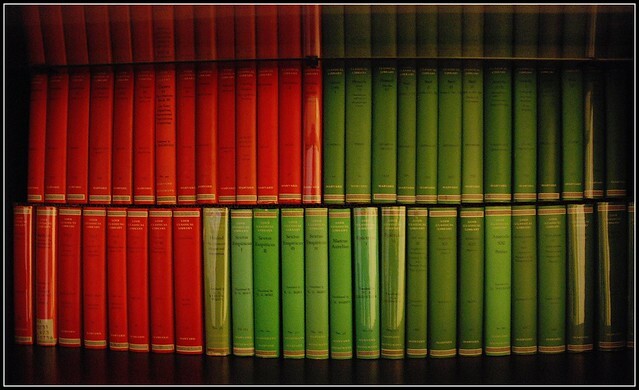 All public domain Loebs downloadable! The two Apostolic volumes are there along with 14 volumes of Josephus and 11 volumes of Philo. Google recently announced a "Talk to Books" feature which conducts searches at the sentence level rather than the word level. You ask a question, see the excerpts that the natural language algorithm has identified as matches, and then can choose to see the excerpt in context in the book where it occurs. OpenBible.info checked it out and provides some interesting examples. As noted there, you are going to get mixed results, as you might expect, since Google can only search through books it has analyzed. As OpenBible note, the results will often point to books by evangelical publishers who have promoted indexing of their books by Google. I did not find, however, that the excerpts pulled up many old, public domain texts. Was Jesus really forsaken when he was crucified? So, yes, this may have value for a particular type of theological / biblical question. OTOH, when I asked "Which Gospel is the best one? ", the first two excerpts pointed to John, but the third pointed to Marcion! This is Mark 1.40 in Sinaiticus accessed in BibleWorks 10's manuscript viewer. The dot over the upsilon of ΓΟΝΥΠΕΤΩΝ is the second corrector's mark showing that the word is not in other mss. I looked at two interesting variants in Mark 1.40 (did the leper kneel?) and 1.41 (was Jesus moved with compassion or anger?). You can see the document I've linked to see what each offers, but some comments first. I've listed the software program I've used to get my texts, and the implementations vary. The beauty of all of them, however, is the hyperlinking which provides information on the manuscript and its date and more. I'd hate to do in-depth textual criticism without these programs. 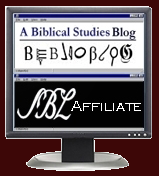 The Nestle-Aland 28 (NA28) and United Bible Society (UBS5) are the eclectic critical texts with the NA28 trying to offer a fuller listing of variants and the UBS5 focusing only on more significant variants. Each has a slightly different approach to presenting variants. The CNTTS does not offer a recommended text but includes the most full catalog of variants. Any serious work really needs to consult this resource. The Tyndale House GNT is based on the mid-19th century text by Tregelles but with updates based on new texts and greater attention to scribal habits. The Comprehensive NT only provides notes indicating differences between Alexandrian and Byzantine text families and some of the English versions which reflect each. Metzger's Textual Commentary provided a guide to the UBS editions explaining the committee's choices. Omanson's Textual Guide is a direct descendant that provides fuller explanation and is more accessible to non-specialists. Comfort's NTT&T Commentary also is oriented to a non-specialist. The NET Bible's tc=text critical notes attend to the more significant text variants (though I was surprised that there was not a note to Mark 1.40) and provides a balanced and reason explanation for a preferred reading. For my seminary students, this provides just about all they need to know. When I teach textual criticism, I teach enough so that they can understand and appreciate the NET Bible notes. One helpful online resource is the "Student's Guide" which provides a summary of significant variants. plus about 500 minor ones, on about 2600 pages." Note! That's just for the Gospels! On the basis of his thorough work, he also includes suggestions for improving NA28. In addition to manuscript evidence, he marshals plenty of other related evidence from parallels and the Patristic literature. Where the others have a paragraph of commentary, he provides pages. SUMMARY: Take a look at the linked document to see how each of these resources I've listed compares. The NA28 remains as something of a standard, but it is more than most people need. As noted, I recommend the NET Bible's notes for my students as the most accessible to identify significant variants and get a quick commentary about what's going on. For something a bit more thorough and exhaustive, I like Omanson's Textual Guide, especially since he remains in dialog with Metzger. If you're looking at a Gospel text and really want to do more study, be sure to consult Willker's work. HERE is the PDF you can view.